I know! I know! I already know what you’re going to say, but don’t say it! 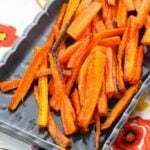 These baked carrot fries are delicious, and for a french fry lover like myself that’s a BIG statement. Make them in your air fryer or oven, and lightly salt them to satisfy your craving! Yes! Think about it–they’re so similar to potatoes! 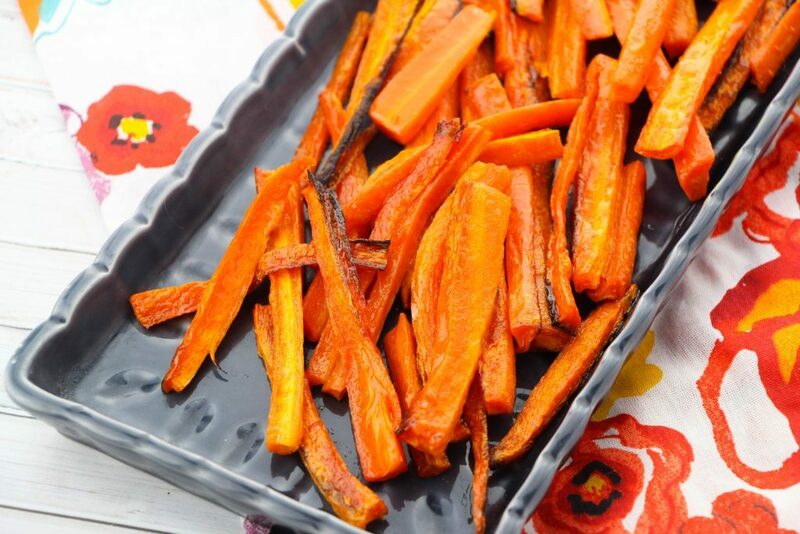 You can get them nice and crispy in the air fryer or oven and sprinkle some salt on them…yum! You’re going to love them. 1. 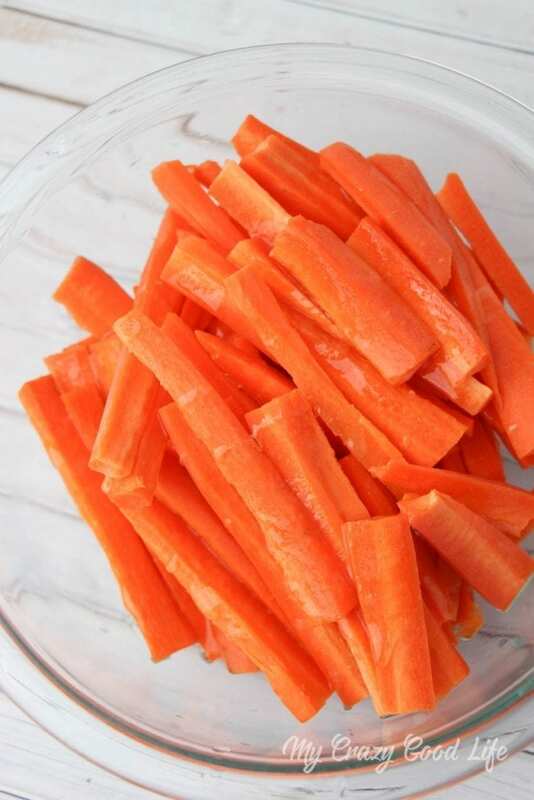 Peel carrots with a vegetable peeler (be careful! ), slice into fry-sized pieces. 2. Toss with olive oil and salt. 3. Spread on parchment paper, or just on a baking sheet, or place in the air fryer. If in the air fryer, check every 2-3 minutes and remove when tips are brown. 4. If in oven, bake for 12-25 minutes at 350 degrees until carrots are browned. 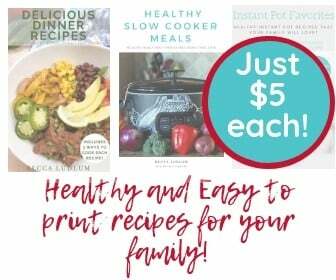 I’m dying to know how you like these, so make sure to follow up and let me know! I love how they help to reduce my junk food cravings! 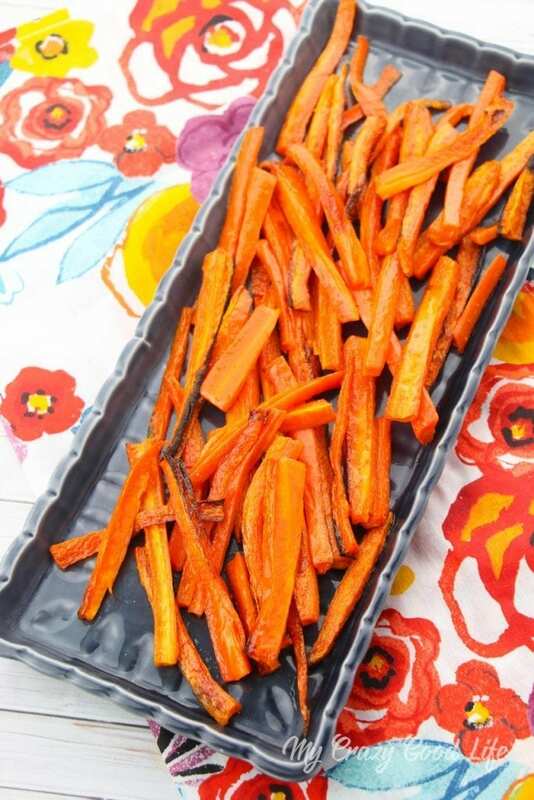 These Baked Carrot Fries are the perfect answer to your salt craving! 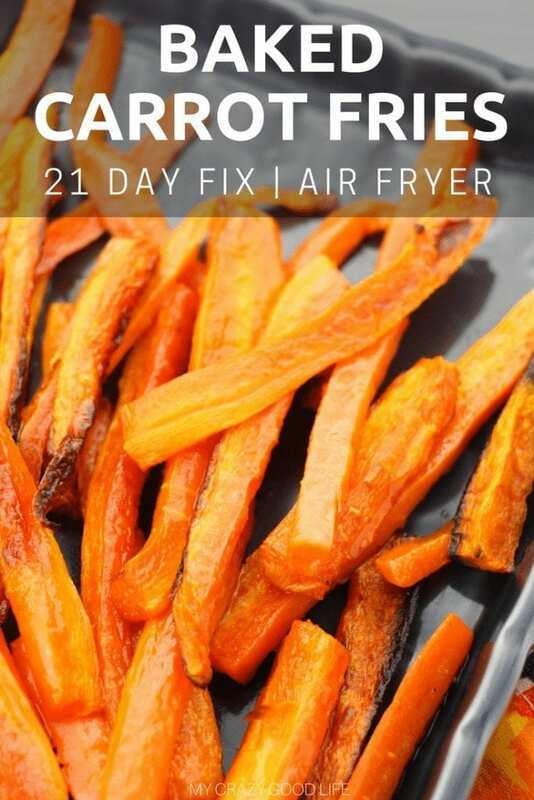 You can use an air fryer or your oven to get crispy vegetable fries that will satisfy your craving! Spread on parchment paper on a baking sheet, or on the baking sheet itself. If using an air fryer, stick in the air fryer. 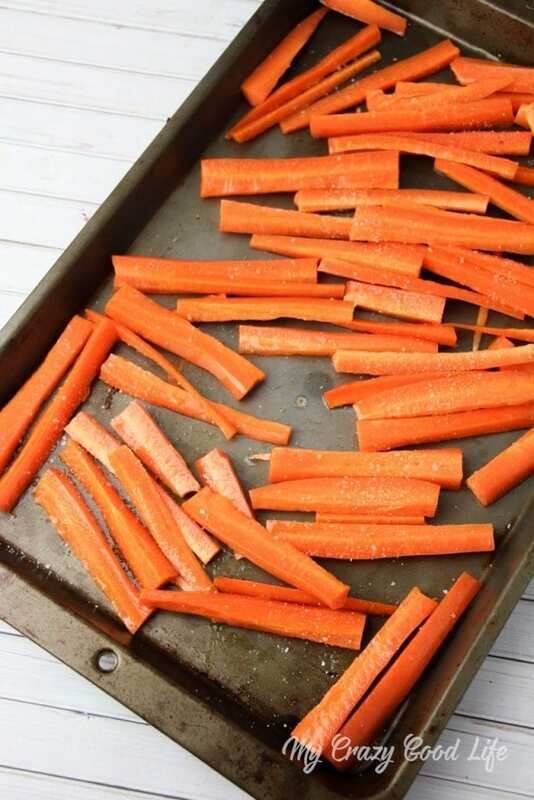 Bake for 12-25 minutes at 350 degrees until carrots are browned, check every 2-3 minutes in the air fryer. 21 Day Fix Container Counts: Fill your green container and count as 1G and 1 tsp.